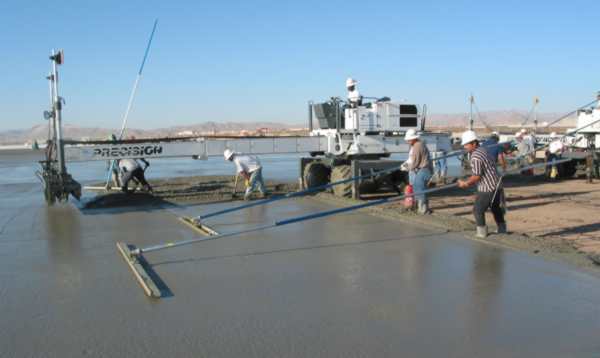 We take great pride in our floor slabs and the crews that place them. Precision's pour crews consistently make pours in excess of 70,000 s.f. maintaining F/FL numbers of 60/50. Largest single pour made by our crews was 126,000 s.f. (left) Finishers use bump cutters are used in both directions to achieve maximum flatness. 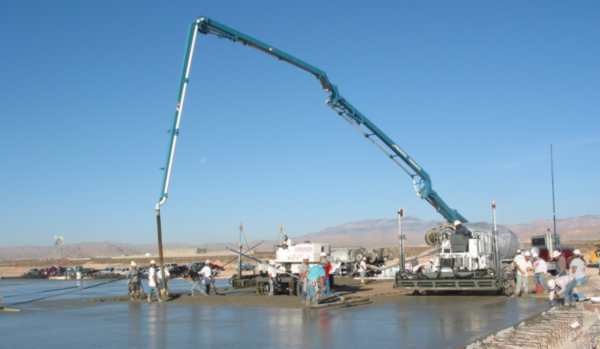 (Right) 45 meter Schwing pump supplies concrete in front of 2 Somero laser screeds.